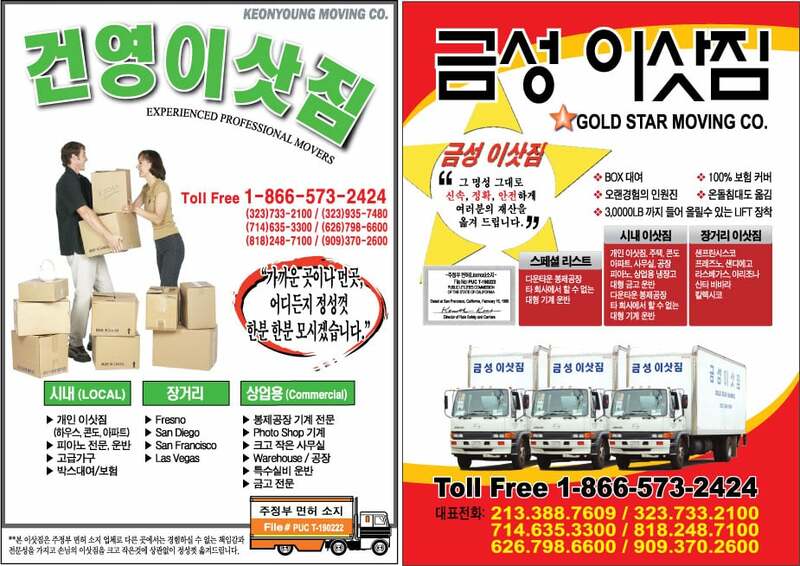 Moving company located in Los Angeles County:-Domestic/Residential Move in Southern California-Commercial Move in Southern California-Office Move-Furniture Move-Business Move-Restoration Move-Packaging-Single Piece Move**Long distance Move (LA to San Francisco, AZ, NV, WA, UT, OR) **New Moving Trucks & experienced movers! 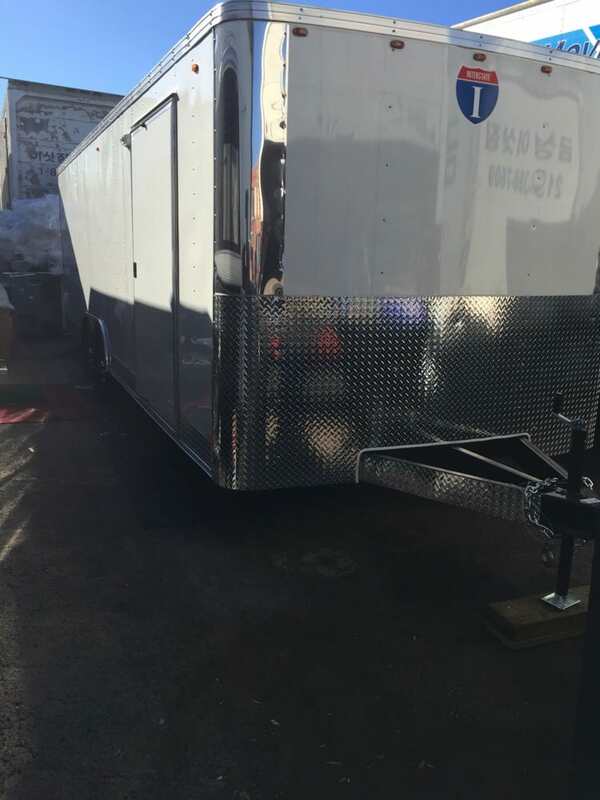 Service includes:-Disassembly and reassembly of furniture-Moving supplies: tapes, shrink wraps, dollies, straps and blankets.-Moving TruckWe do all kinds of moving. Please don't hesitate to give us a call! Established in 1990. 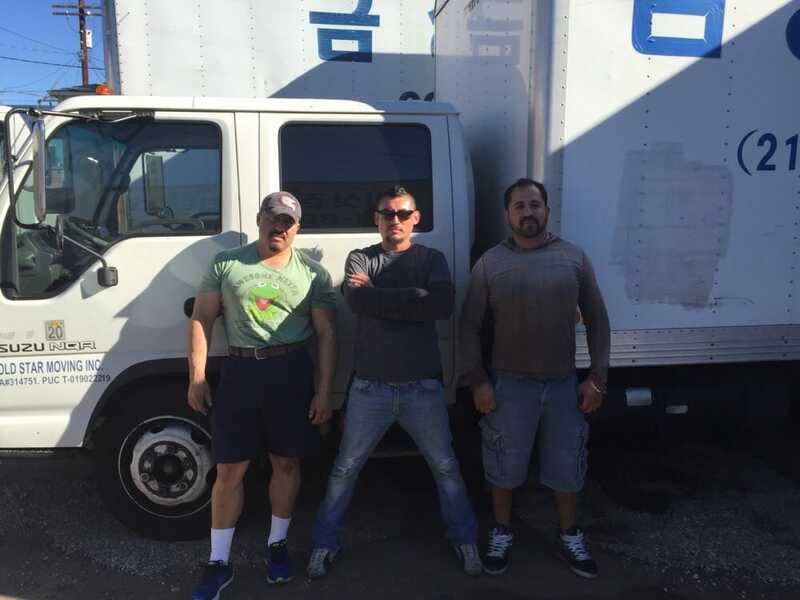 With over 20+ years in the moving business, we serve to both residential and commercial customers.We are a Licensed moving company under PUC. We just moved yesterday in the building from one unit to another. I'm almost 7 months pregnant and was stressing out so much but movers were very helpful. They were on site promptly at 9am as it was scheduled and were out by 1pm even cleaning up after themselves and taking some of our trash with them for disposal. We used 2 movers and the younger one of the two went beyond after reading room assignments on boxes, asked me where they were and placing all nice and neatly in these rooms. The other one wasn't as keen and left all as is in livingroom but I'm used to movers who are more like him so it didn't bother me too much. The only 3 reasons I didn't give 5 stars was because first they didn't wrap all items upon moving such as our mattress and body cushions so it got dirty. They ended up putting our mattress on floor and pushed towards end and the floor was dirty due to move. We wrapped our big body cushions with our beddings and left on top of the bed thinking that it'll be wrapped with plastic wrap but the mover just tied the bedding and carried it on his back. The second reason was that some of our furniture had gotten its paint chipped off due to the tape they were using. It must have been very strong because the wooden part of our coffee table came off when tape was removed. Lastly, they don't have wardrobe boxes that we can use while moving these items so all clothes were just stacked on and wrapped on top of our boxes and furniture. 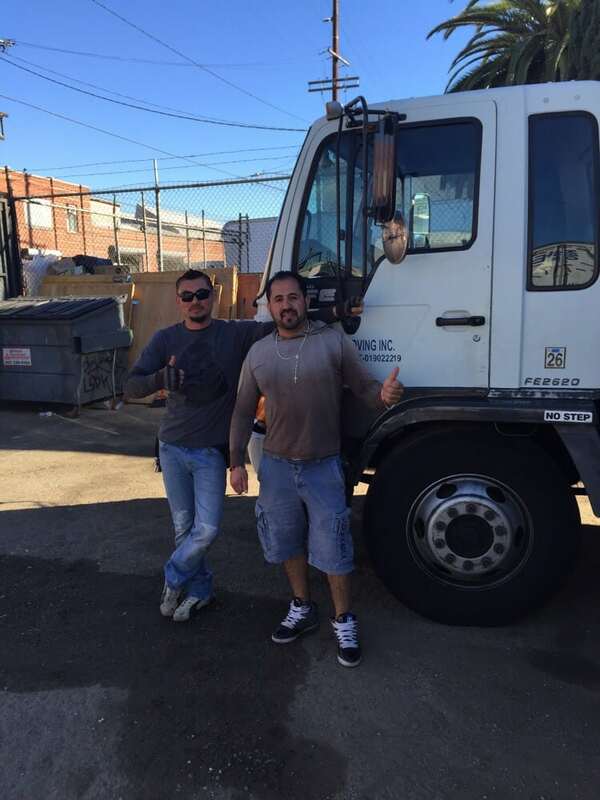 We tipped the 2 movers very handsomely because they were quick and helpful. These guys did a great job! We were flaked on by another company. Called this one today Sunday at 7:30am and they were there in Korea town at 9am! Actually came 10 minutes early! Wow!We were in and out in four hours. 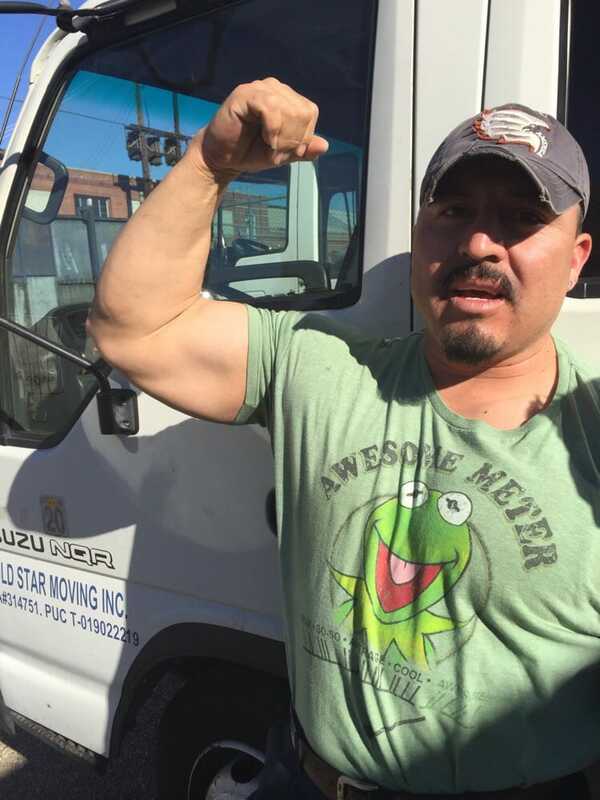 I helped out as I am a physical specement and wanted to ensure we get my Korean fiancee from downtown to our oasis in the valley of peace and tranquility. $80 dollars per hour , 2 guys and we were out of the storage in canoga park by 1pm. We tipped the guys $45 big ones as they honestly did a very good job with everything! The guys even smelled decent for movers and that is tough in 90% weather. We recommended this company already to one person as these were the best movers I have seen and I have seen a number as I have moved from palace to palace in the past. Keep up the good work amigos! The movers I hired from this company stole my box of gold jewelry. We spoke to the manager and the mover responsible was fired. Companies are liable for their employees and their employee's actions. I appreciate the prompt response and action taken from the business, but do not appreciate that my valuables are now gone and that I have to file a police report because of one of their employees. Called Eric to schedule a move as recommended by my coworker and everything went out smoothly . I would definitely recommend them to my friends. Theymade our move lot easier especially because we needed to move 2 couches and a bed to our second floor condo.